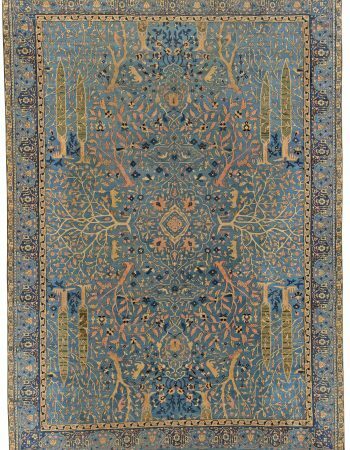 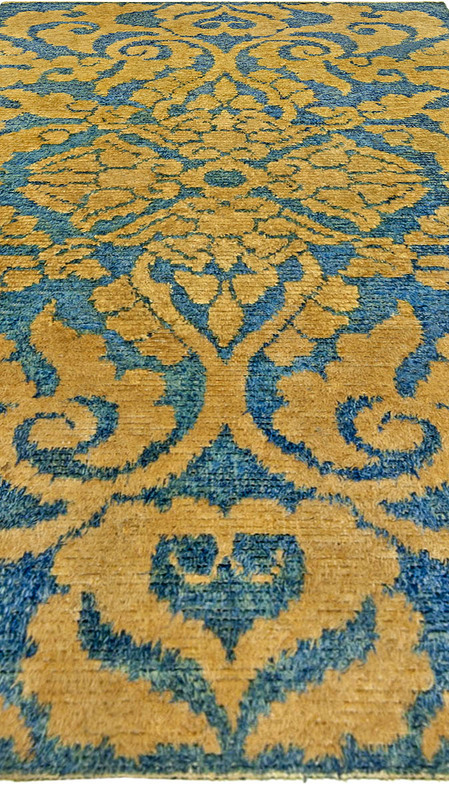 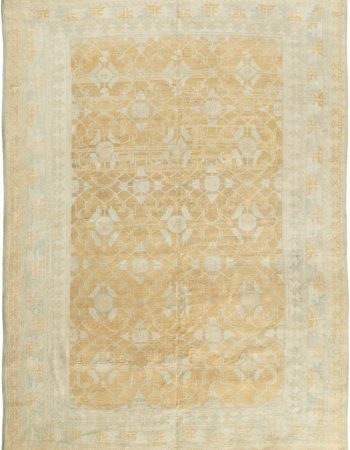 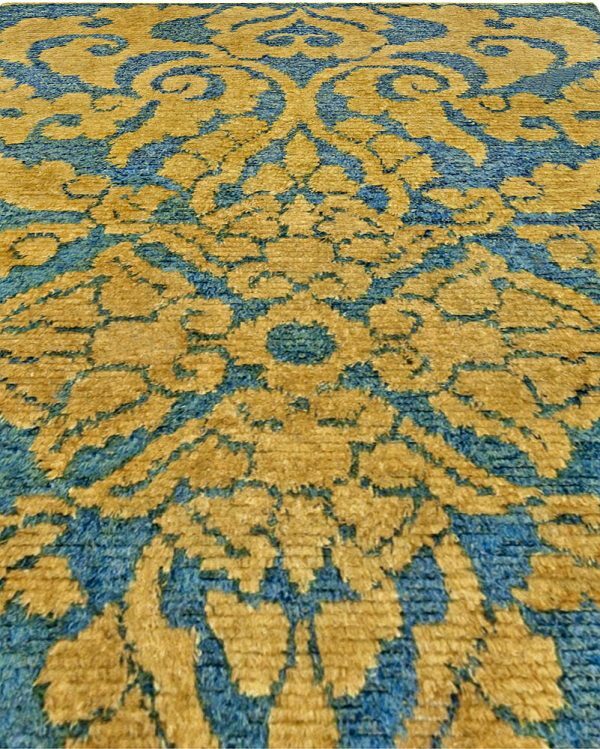 A fine example of asbtraction and modernism, this vintage Chinese carpet features a bold all-over gold floral design against a solid blue field. 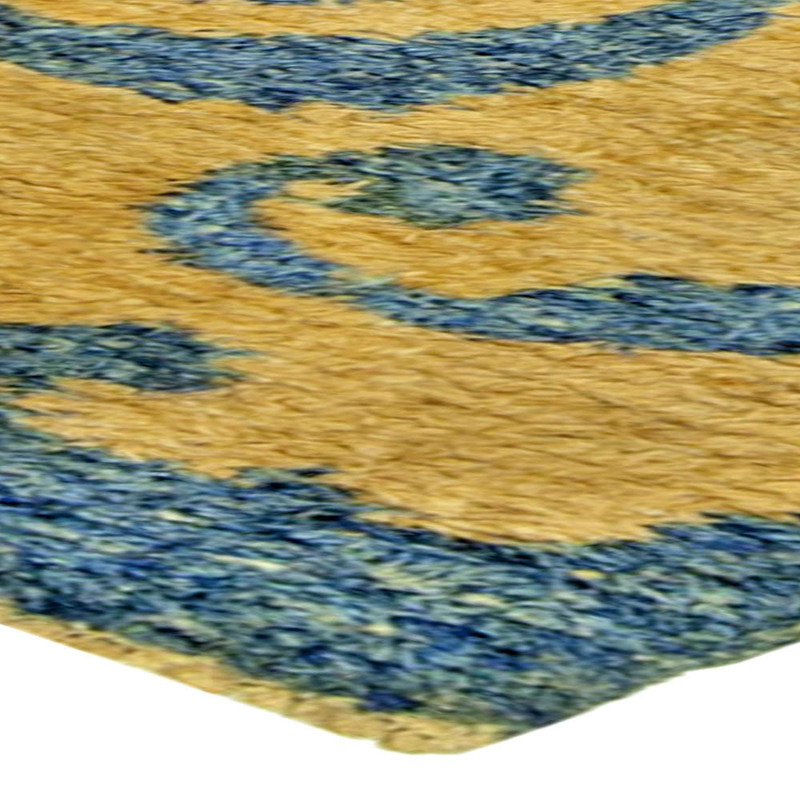 Done with the innovative minimalist approach of the Art Deco style, the vintage carpet is especially exquisite. 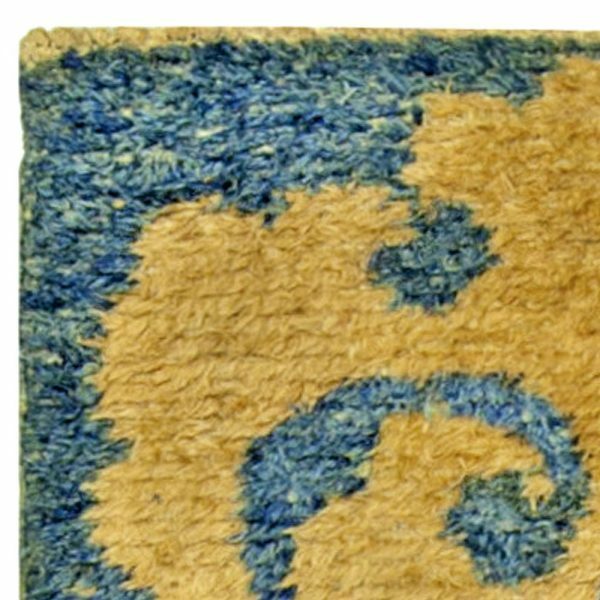 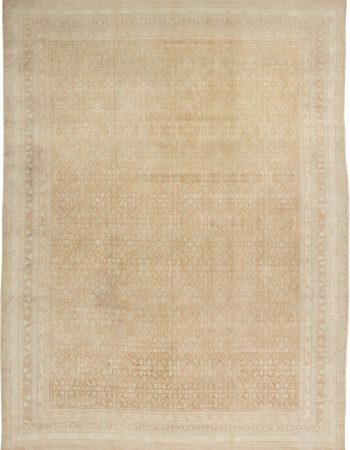 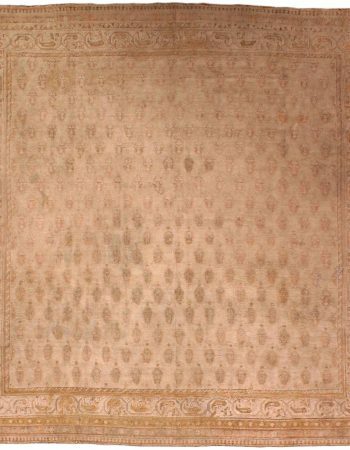 It is perhaps an intriguing relic of one of the most elegant times in America – the Jazz Age of the 1920s and 30s, following a disruption of the usual Mideastern trade for luxury antique area rugs during the first World War. 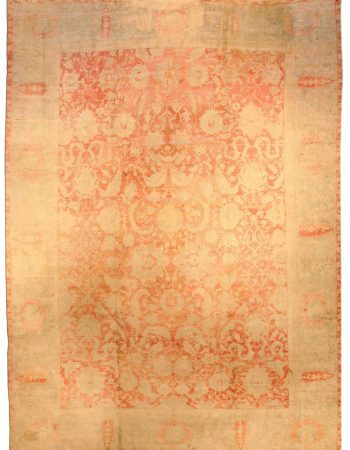 Looking to China to fill the textile vacuum, American entrepreneurs like Walter Nichols inspired a production of Western-looking variations on traditional Chinese design. 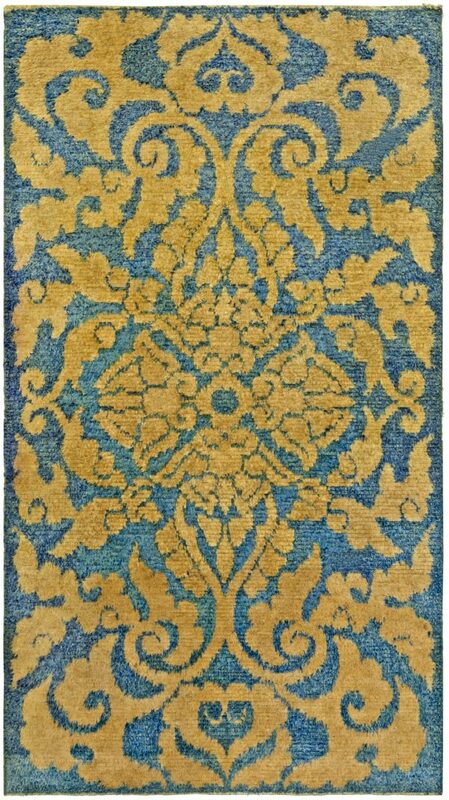 The rugs perfectly complimented the extravagant style of the West at the time and became known as Chinese Art Deco, even though there was no Art Deco movement in China itself.